How Much Does A Cat Carrier Weigh? 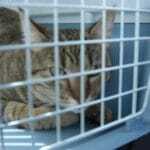 There is no definite answer to how much does a cat carrier weigh. There are different types of cat carriers such as hard-sided cat carrier, soft-sided cat carrier, cardboard carrier, carrier purses etc. Each of them has a different set of weight ranges. Moreover, carriers from different brands have different features and specifications. So, how can we determine the weight of a carrier on average? Here’s what I have done. 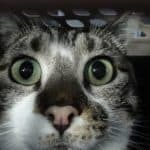 I have taken 5 most popular carriers from each category of cat carrier and averaged their weight! Here’s the result! 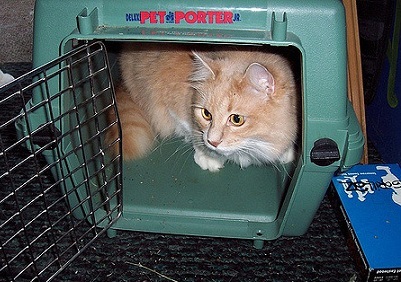 Looking for a guide to determine the carrier size for your cat? Here is one I’ve written for you! 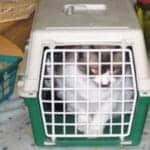 So, this is my in-depth writing on how much does a cat carrier weigh. Though it doesn’t give you an exact answer, it should give you a good overall idea on what to expect from your carrier. A good carrier should be as light as possible while proving the most durable construction. These days, most manufacturing companies are trying to achieve that combination. So, whenever you are shopping for a cat carrier, ensure that it weighs as little as possible. The lighter a cat carrier is, the better you will during the journey. Also, along with the weight, think about the portability too. The carrier should be comfortable both for the cat and the owner. The carrier must be easy to carry. It should come with both top handles and shoulder strap. The shoulder strap should be padded to ensure ease. Also, the strap should be adjustable. This way, the owner can adjust the length according to his preference. The carrier should be as light as possible while providing the maximum durability. So, look for these when buying a carrier. A bad carrier is enough to spoil your journey from the start.